Multitasking has become the norm for most people, especially many professionals. We’ve found that several of our clients not only assume the role of CEO, vice president and marketing manager, but website content manager, blog post writer and social media guru. That’s where we come in, helping to simplify clients’ lives. Martini Creative is not just a design workhorse – ensuring that you look good online and in print – but a business workflow/processes partner. In a nutshell…we build websites that work better. Companies of any size, industry, service or product will find the benefits of having their website in a content management system, such as WordPress. The applications (plugins) and flexibility allow us to custom develop websites on a per client basis, giving a business the specific features and functions they need. 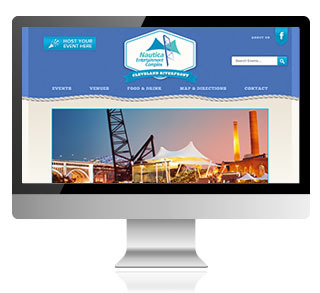 One of our latest websites, for Nautica Entertainment Complex, features an event calendar system that allows them to promote upcoming concerts, fundraisers, and rental of their facility. Check it out at www.nauticaflats.com.